Fatima Zahra Mansouri, the 38-year old mayor of Marrakech, and Souad Mekhennet, a 35-year old journalist, have been honored by the prestigious World Economic Forum to be selected among the organization’s 214 Young Global Leaders (YGLs) in 2014, coming from 66 different countries. More than half of those chosen this year, 109, are women, and 18 are from the Middle East and North Africa region. This year’s set of Young Global Leaders “comes from many walks of life, spanning government, business, civil society and the arts,” said David Aikman, Managing Director, World Economic Forum. “They represent the changing face of leadership, which gives me hope for our world: global citizens, entrepreneurial and engaged, and at ease traversing cultures and sectors, using their experience and talents for the greater public good. Fatima Zahra Mansouri certainly fits that bill. A French-trained lawyer, she currently is mayor of Morocco’s third biggest city, with more than a million people in the metropolitan area. She was elected in 2009, at age 33, as Marrakech’s first woman mayor and only the second in Morocco’s history. In the same TIME interview, she noted Morocco’s continuing political stability through the turmoil in the region in recent years and gave King Mohammed VI credit. “The Moroccan government did something extremely intelligent at the beginning of the Arab Spring,” she said, noting that the King spoke to the people and proposed a new Constitution, which enshrined broader political openness and rights and brought a new government come into power with elections for Parliament. For Souad Mekhennet, an accomplished journalist of Turkish-Moroccan descent born in Germany, she has worked to lift the veil on Muslim culture and also chronicled the war on terrorism and radical Islam, reporting for the Washington Post, New York Times, Newsweek, the Daily Beast, and German ZDF TV. “Throughout my career, I have heard preachers from all sides ranting about the ‘clash of cultures’,” Mekhennet wrote in a column for the World Economic Forum. The World Economic Forum, an independent international organization, is widely known for its Annual Meeting of world leaders in Davos, Switzerland. Every year, it also reviews thousands of nominations to choose the most accomplished and inspiring young leaders for its annual selection of Young Global Leaders. Other Moroccans named as Young Global Leaders in recent years include Mbarka Bouaida, Morocco Minister Delegate for Foreign Affairs and Cooperation, Ismail Douiri, Co-Chief Executive Officer of Attijariwafa Bank, and Soulaymane Kachani, Moroccan-born vice dean of Engineering at Columbia University in New York City. 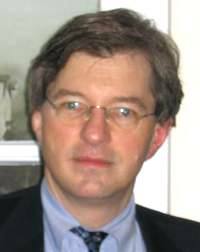 Garth D. Neuffer is Director–Press at the Moroccan American Center for Policy.